Fire Extinguisher Saves a Life!! Fast acting hero’s used fire extinguishers to push back a raging car fire just long enough to pull out a trapped woman saving her life. 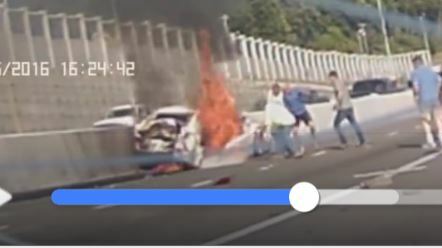 This dramatic dash-cam video shows the accident and the flames almost overtaking the woman and the car. The heros using fire extinguishers pussed back the flames just long enough for the team to grab the woman and bring her to safety!! Always a good idea to keep a keep a fire extinguisher in your car! Cooler, but stronger winds could work for or against firefighters battling the Loma Fire. 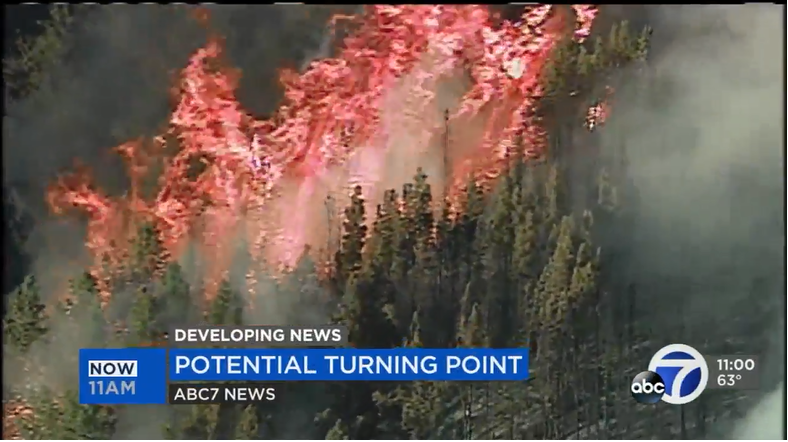 The flames are centered on Loma Prieta, the tallest peak in the Santa Cruz Mountains. Evacuations were lifted Wednesday afternoon for all Santa Cruz County residents, but road closures remain in effect for non-residents. Firefighters have sent in reinforcements for the fire. “We were at 500 on Monday, yesterday we were at 800, today we’re over 1,000. It doesn’t matter what patch is on the side of a person’s fire engine or a uniform. It’s a single fire service and it’s a single mission to fight this fire,” said CAL FIRE Battalion Chief Jonathan Cox. 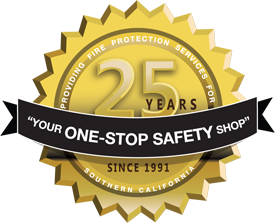 Firehawk Fire & Safety technicians are certified and licensed through the office of the California State Fire Marshal to inspect, maintain, repair and certify your company and its fire protectionequipment is compliant with national, state and local fire & safety laws.